Disinfection is a critical part of effective water treatment and is responsible for the removal of or inactivation of pathogenic microorganisms to prevent the spread of waterborne disease. Disinfection strategies include UV; ozone; lime; chlorine dioxide; bromine chloride and gamma irradiation where barrier systems include membrane filtration systems. The most widely adopted are UV, chlorination, ozonation and, to a smaller extent, filtration. 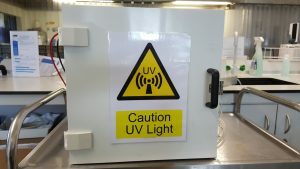 Ultraviolet disinfection is a physical method of disinfection and works by disrupting and damaging the genetic material and other critical macromolecules in cells; it has been shown to act effectively against bacteria, virus, fungi and some protozoa e.g. Cryptosporidium. A range of 250 to 270 nm is the optimum wavelength to inactivate microorganisms via targeted genetic material treatments where broader wavelengths affect vital cell membrane functions and other cellular function. MOREFISH focuses on various next-generation disinfection technologies including pulsed light UV. PUV is efficient in terms of energy delivery and inactivation efficacy as it can dissipate many megawatts of electrical power in the light source unlike conventional alternating-current systems. PUV produces a greater intensity of the shorter biocidal wavelengths of light; thus it is possible to employ an extremely short energisation time of the light source (<100 ns) with only a modest energy input (e.g., 3 J). Pulsed light UV developed in MOREFISH for aquaculture applications require transient generation of high voltage and high current that in turn results in the generation of large peak powers ranging from Megawatts to Terrawatts. Thus, pulsed light offers a radical new approach to energy delivery; the intensity of PUV is 50,000 times that of sunlight and has broad-ranging anti-pollutant properties. Pulses are typically delivered at 1 to 10 pulses per second. 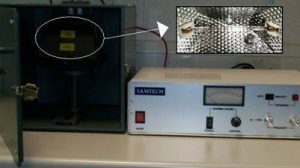 MOREFISH group has also reported that pulsed light is environmentally friendly in terms of ecotoxicology. Examples of the PUV units used by the MOREFISH project.